I want to thank Mark Cline for taking the time to dig all this information from his memory and sharing it with me, for the use of his pictures to help tell this story and most of all for adding to this world things that make us take a second look and smile. A documentary about mark is currently in the making, help fund this amazing look at his life and work! So here is an interesting side story. 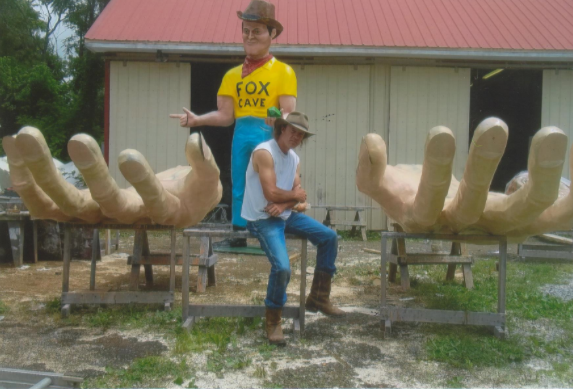 While browsing Debra Jane Seltzer’s website I came across this picture she took back in 2001 in the little town of Elkins, WV. She mentioned when the picture was taken and that it looked like it was sawn off at the ankles and also that she had no idea where the rest of him ended up. Missing feet or in this case missing bodies always have a good story behind them so I found a local that was able to do some digging for me. 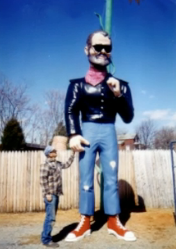 So for those of you who are interested in this long lost muffler man here are some details for you. The story starts in 1998 when a few guys partnered and opened the “Lumberjack’s Restaurant” on the upper floor of the Elks Lodge at the Elkins Country Club south of the cities airport. 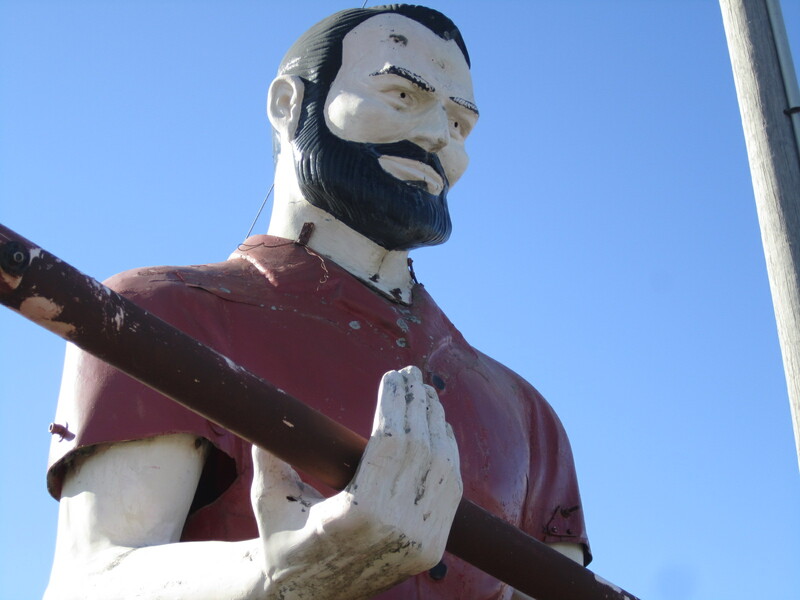 The main partner in the business had arrangements made for a lumberjack statue to be made in Roanoke, VA. After it was completed the lumberjack was brought to Elkins and set up in front of the lodge. His feet were set in concrete on top of a slab to keep him secure. 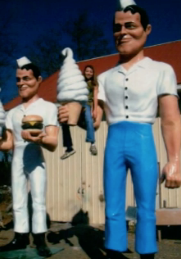 By the latter part of 1999 the restaurant went out of business and shortly after the statue disappeared. 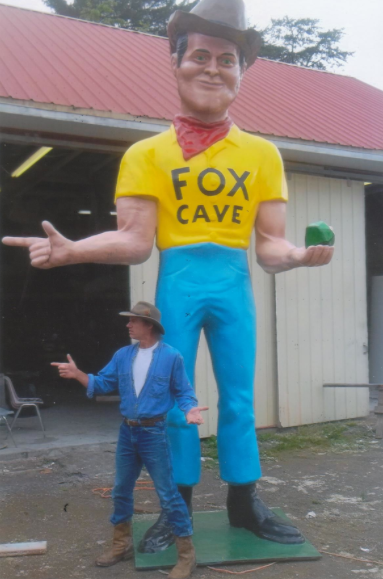 It is not certain if someone stole him or perhaps the owner cut him off at the feet and hauled him away. 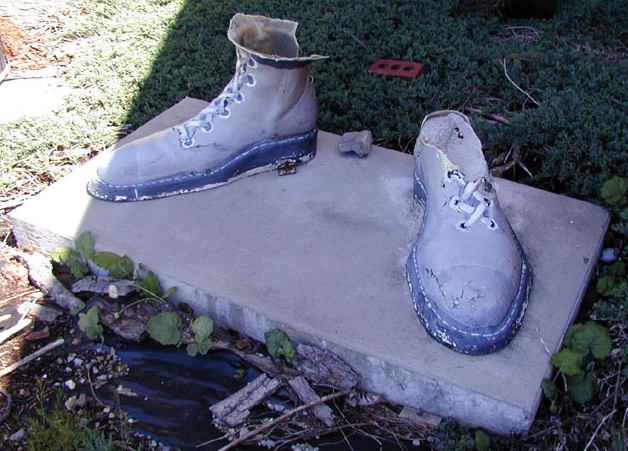 I am also not sure if his feet are still on the property or not, it has been over 10 years so I am guessing they have been removed by now. It would be interesting to learn where he went and what he looked like. 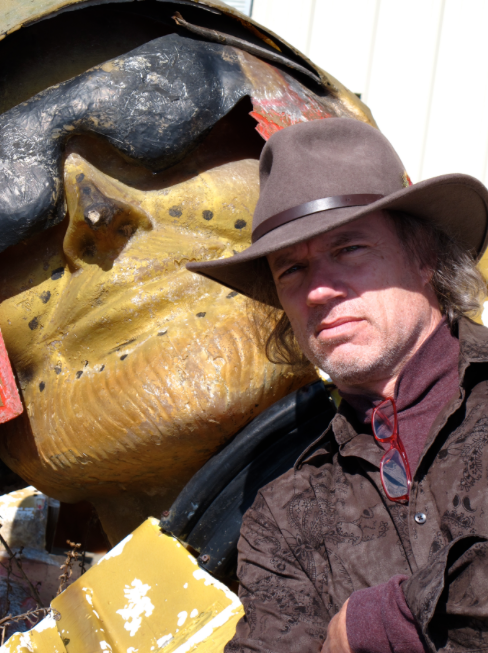 I have speculated that since he was made in 1998 that he is one of Mark Cline‘s creations since Mark’s studio is only about 40 miles from Roanoke. Anyone with more information please enlighten us! Check out the update to this story!